We are pleased to announce our guest speaker, Assemblyman Eric Houghtaling (D), of the 11th Legislative District. Houghtaling was elected into the General Assembly in 2016 and is currently Deputy Majority Leader. A lifelong resident and former Mayor of Neptune Township, Houghtaling has always strived to give back to the community in which he raised his family. Houghtaling is a career electrician and a proud, 40-year member of the International Brotherhood of Electrical Workers Local 400. He has also served as a representative to the Monmouth and Ocean Counties Central Labor Council. Through his work with labor, Houghtaling has gained a keen understanding of the issues facing working families, including the need to create good-paying jobs, make education more effective, and keep communities safe. Houghtaling serves as the Vice Chair on the Agriculture and Natural Resources Committee, and the Oversight, Reform and Federal Relations Committee. He is also a member of the Telecommunications and Utilities Committee and Labor Committee. Registration and continental breakfast will begin at 8:30 a.m. with the meeting starting at 9:00 a.m. 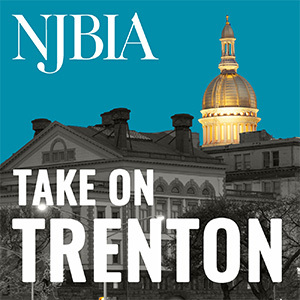 If you have not already registered, please click here or contact Danielle Wink at dwink@njbia.org or at 609-858-9511.